July 6th is the birthday of the one born as Lhamo Döndrup, recognized at the age of two, and formally installed at the age of fifteen, as the head of the Geluk school of Tibetan Buddhism and therefore also the spiritual leader of Tibet and its people. Upon his enthronement, he was renamed Jetsun Jampel Ngawang Lobsang Yeshe Tenzin Gyatso, Holy Lord, Gentle Glory, Compassionate Defender of the Faith who is an Ocean of Wisdom. He is referred to as Yizhin Norbu Rinpoche, the Precious Wish-fulfilling Jewel. 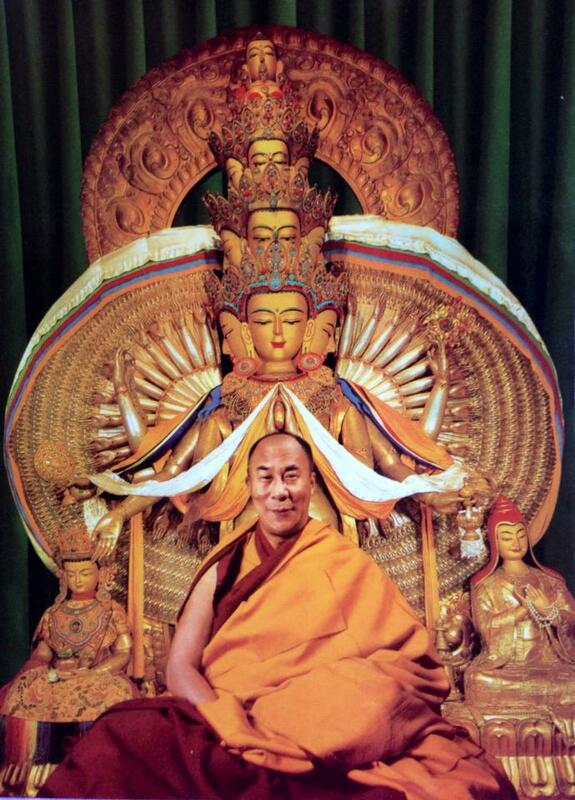 He is known around the world as His Holiness the 14th Dalai Lama. Especially on this day, it is beneficial to make offerings and to offer many prayers for the long life of His Holiness the 14th Dalai Lama, the Precious Wish-fulfilling Jewel. Is Tenzin Gyatso, Chenrezik in person. Posted on July 6, 2017, in Tibetan Culture & History, Tibetan Lamas, Uncategorized. Bookmark the permalink. Leave a comment.